Naturally, there’s plenty of riff-raff in the vast sea of oyster arts & crafts out there: just go ahead and type any deadly combination of "oyster", "shell" and "art" into Pinterest to have the internet version of food poisoning. But here we’ve happily done the dirty work for you, harvesting some of our favorite oyster-related images to kick off our week of the oyster: gorgeous pearl divers, comfortable dresses (c/o avid scuba diver Alexander McQueen), cleverly-bound books, glamour shots of caviar and lemon wedges, that thing with all the beads and an eye…it’s the best of the best! 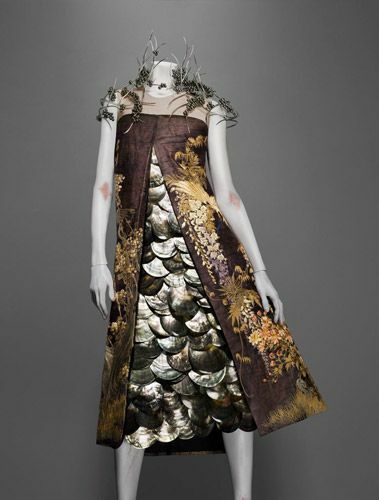 Of course, the oysters themselves—that ultimate snack—have also long provided artistic inspiration of all kinds, Isadora’s choreography included. Based on the anatomical drawing below, we’re not sure how it all works, technically speaking. But we’re fairly sure that the bright, sharp smell of lemon and vinegar, the pale sunshine of a cold white wine in sparkling glass, and the rustle of empty shells on ice are all the elements you need to attain genius. Oyster Eye 4, beaded sculpture by Betsy Youngquist, via Etsy. 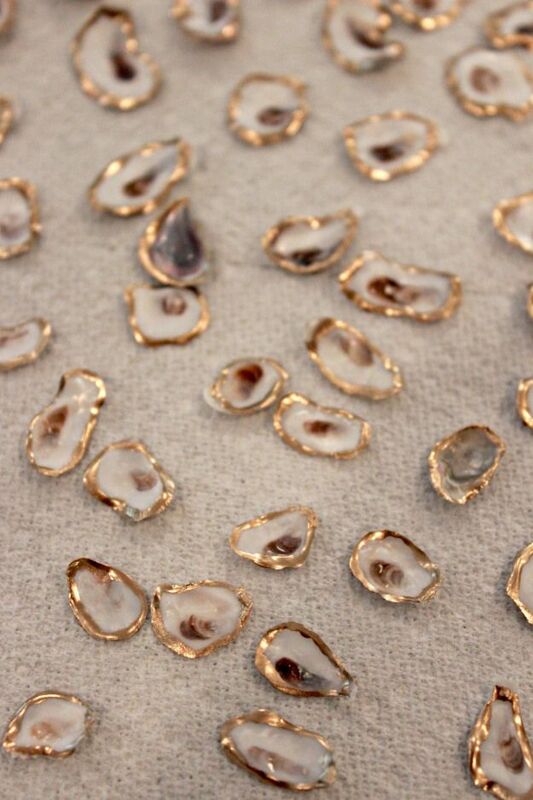 Gold rimmed oysters for wreath-making via Oysters and Pearls. "The Party Guide: Designer’s Chic Soirées." Edited by Amanda Weiner, via Harper’s Bazaar. Oyster at The Ordinary, fancy seafood and oyster hall, Charleston, South Carolina, via Eat the Ordinary. Hand stitched oyster book by Odelae via Etsy. Anatomy of an Oyster from Handbook for Oyster Farmers, Division of Fisheries, Australia, via California Oyster Industry. Oysters on the half shell, via Tumblr. 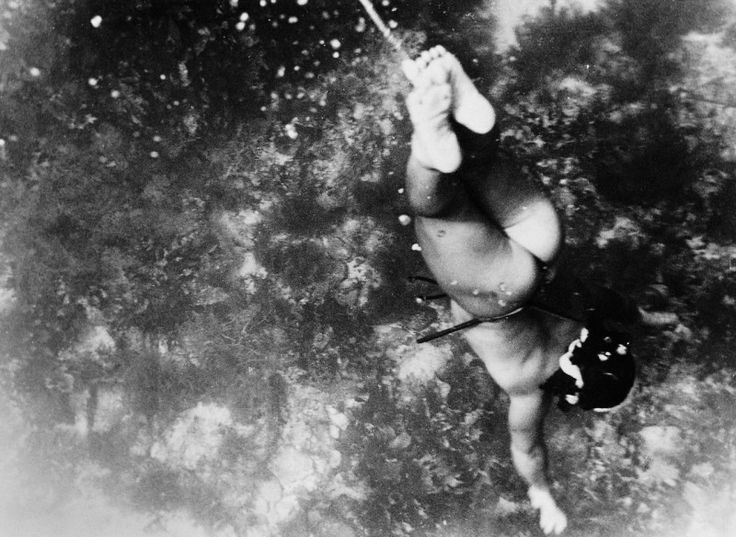 Japanese pearl diver underwater, via Gakuranman. 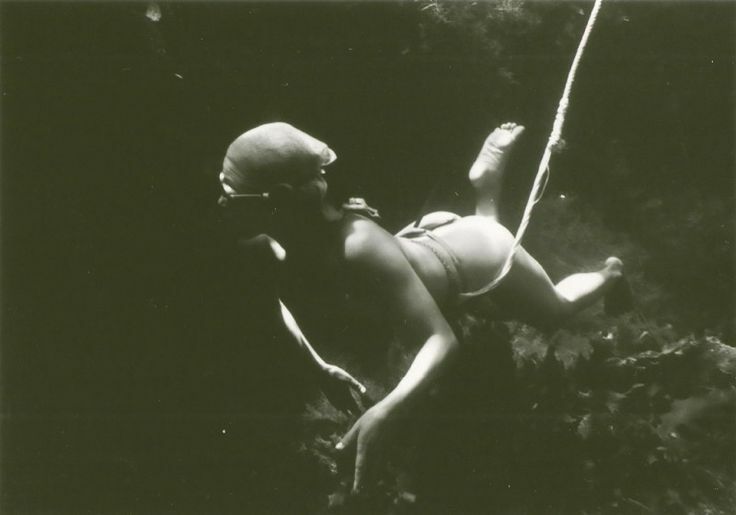 Another Japanese pearl diver underwater, via Gakuranman. The World Is Your Oyster card from Rifle Paper Company, via Off with Your Jorts!